1. 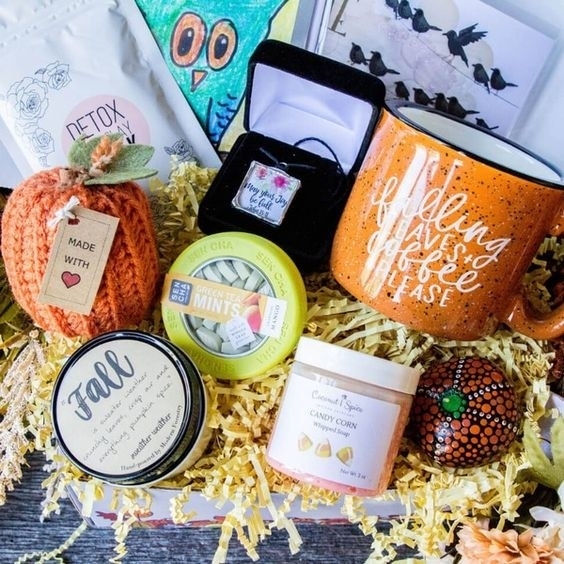 A personalized mug so they'll think of you even as they sip on their favorite drink miles away. Get it from SaltynLit on Etsy for $12.95+ (available in two sizes). 2. 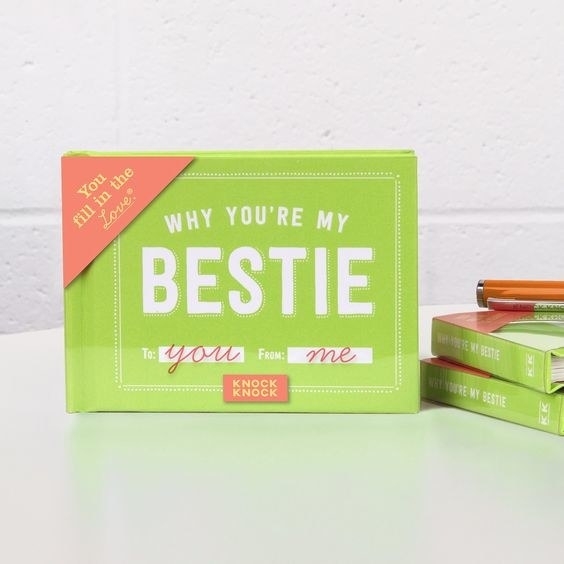 A book to let them know exactly why they're your BFF. It's a fill-in-the-blank book, so you basically pour your heart out on the pages. 3. A friendship wish bracelet for them to wear and think of you. 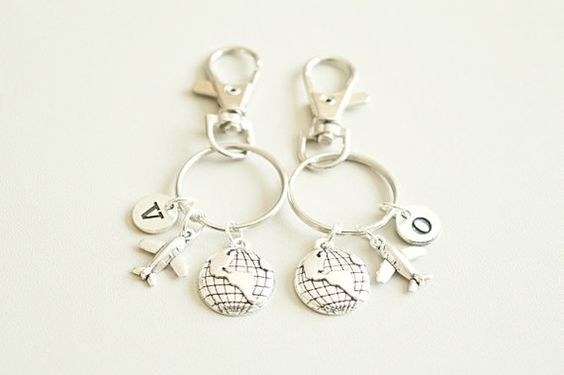 Get it from Wish Charms on Etsy for $7.95. 4. A sheet of custom stickers so they can never forget your face. Get 21 stickers from Amazon for $17.99. 5. A mug your long-distance Rachel or Monica will appreciate. 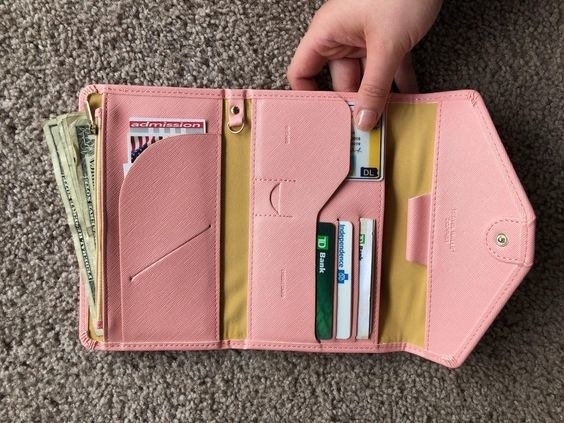 Get it from theMugHermit on Etsy for $10.78. 6. 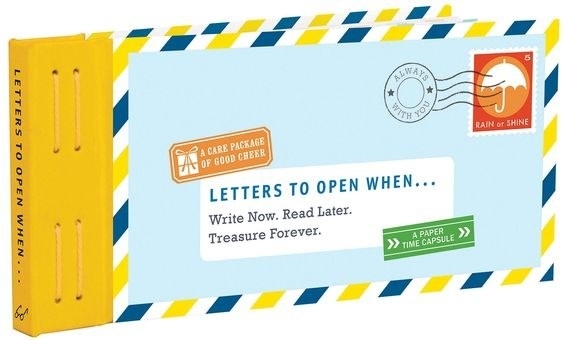 A book of 12 letters for them to read whenever they need a little note of advice and encouragement from you. 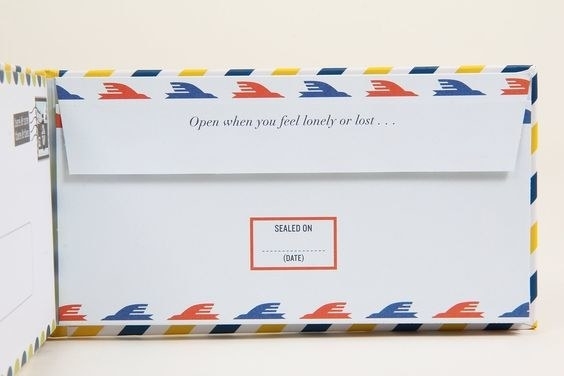 There are 12 prompted letters inside that you write now for various occasions. Some occasions include: "when you need motivation," and "when you feel lonely or lost." Your friend can then open the letters at these times and read your words of encouragement when they need them most. 7. 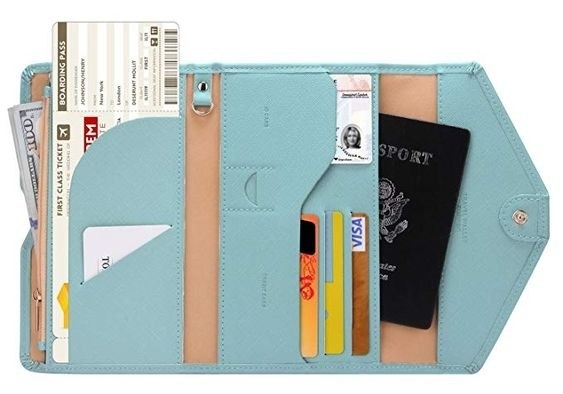 A passport wallet that'll hold all their important travel docs and money while they are on their way to see you! 8. A candle with a personalized message to remind them that you miss them whenever they use it. Get it from helloyoucandles on Etsy for $23+ (available in 25 scents). 9. 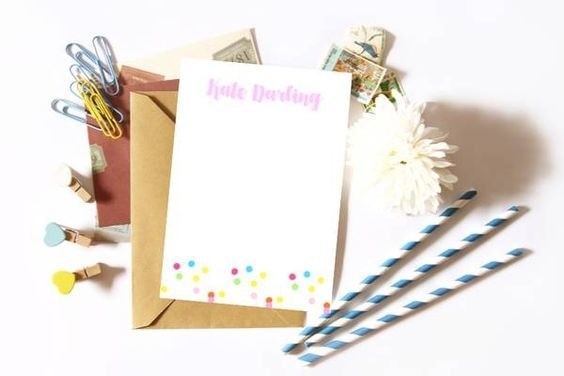 A custom stationary subscription box so they can write letters on pretty paper and send them to you the old-fashioned way. 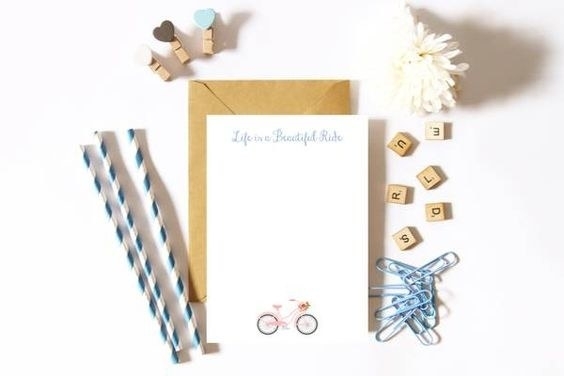 In addition to pretty paper, the box also has accessories that can include gel pens, paper clips, washi tape, and much more! 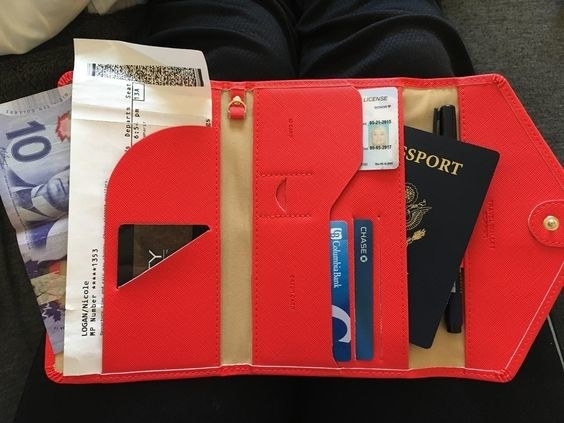 Get it from Cratejoy for $20/month. 10. 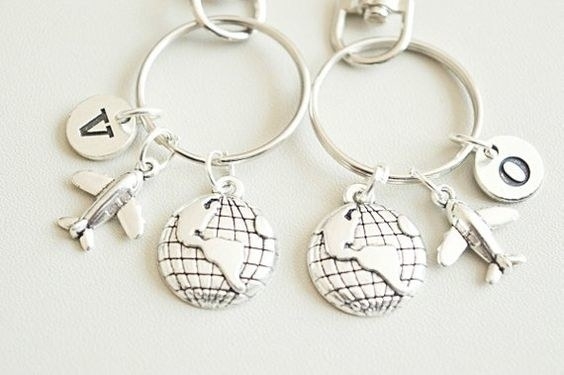 A keychain to prove that no matter where you both are in the world, you'll always have each other. Get it from YouLoveYouShop on Etsy for $18.83. 11. A pair of personalized socks with you and your BFF's faces on them to let the world know your friendship is thriving despite the distance in a funny, unconventional way. Get it from PetPartyCo on Etsy for $22.99+. 12. 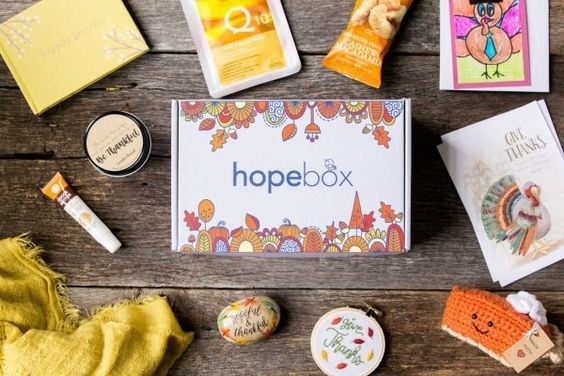 A self-care subscription box filled with uplifting handmade goodies and a personalized note from you so you can still take care of them from afar. 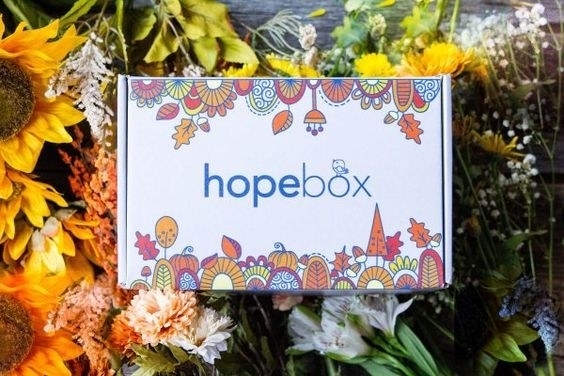 Get it from Cratejoy for $29/month. 13. A throw pillow for them to hold close when you're not there to give them a much-needed hug. Get it from Sammieslettering on Etsy for $24.99. 14. A Blue Apron subscription to step up your Skype game by cooking dinner while video chatting. Blue Apron offers dinner plans for two with the option of two or three original recipes a week. You choose your dietary restrictions and recipes, then Blue Apron will deliver the recipes and fresh ingredients right to your door. Get it from Blue Apron for $59.94+. 15. Matching wine glasses for your partner-in-wine who understands that even though you're in different states, you can still have wine with them in mind OR have wine night while you video chat. Get it from Blu Anchor Creations on Etsy for $11.99. 16. A pair of lamps that light up when touched to let your BFF know you're thinking of them. You each set up the lamp via Wi-Fi and when you touch yours, theirs will lights up and vice versa. The lamp will cycle through a rainbow of colors when touched, and you can even assign a color to each other, so when the lamp turns a certain hue, you'll know it's them. Get them from UncommonGoods for $170. 17. 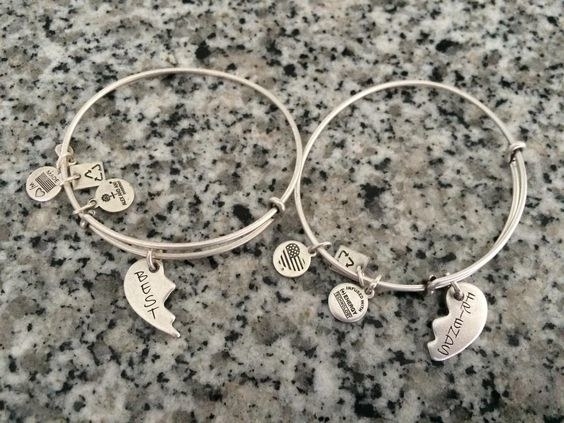 Alex and Ani bracelets so the both of you can wear your hearts on your sleeves (wrists). Get them from Amazon for $39.75. 18. 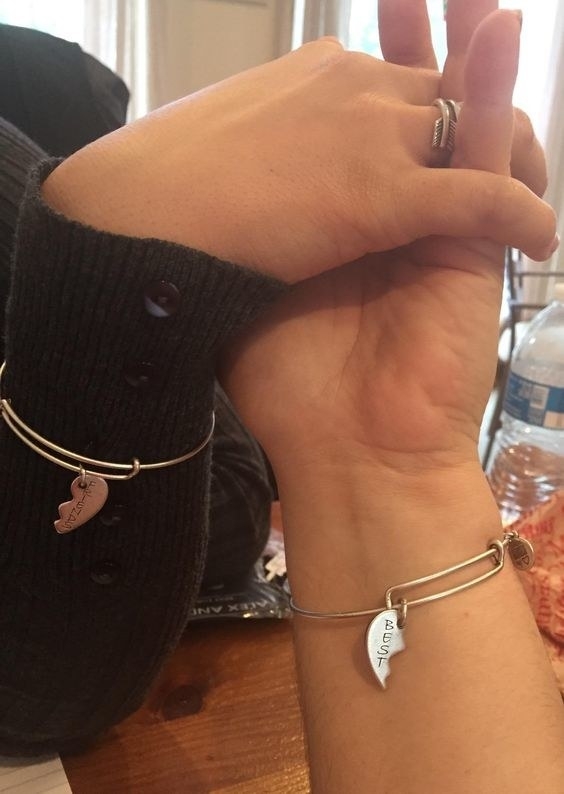 A candle that smells like where you and your BFF created countless memories together. Get it from Amazon for $29.95 (available in 50 states). 19. 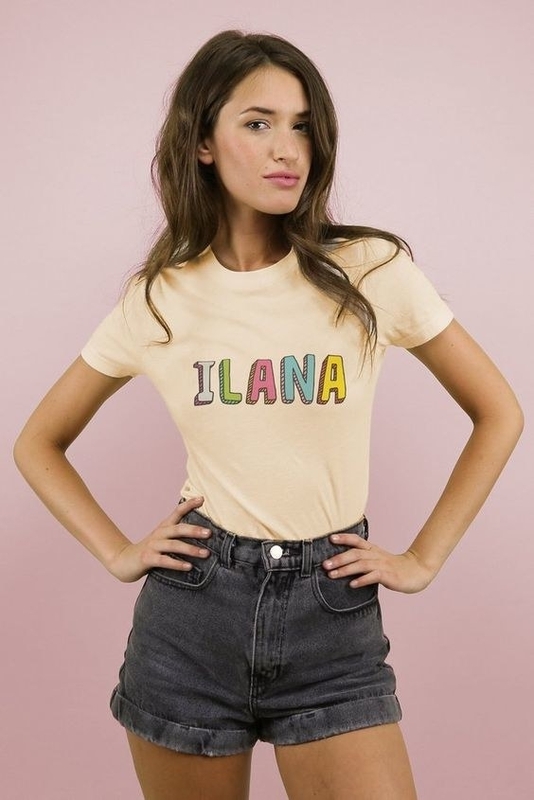 A shirt for you and your Abbi or Ilana to wear while you're apart, so everyone will know your friendship is as strong as Broad City's BFFs. 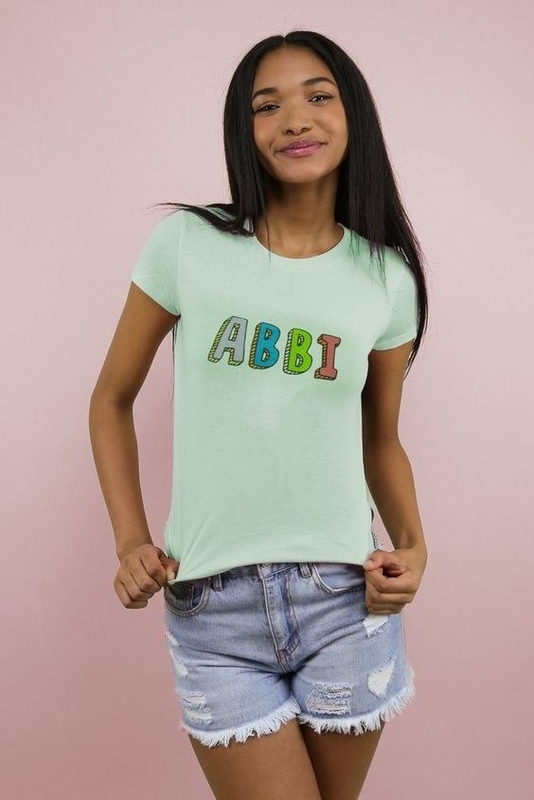 Get the Abbi and Ilana shirts from Iconic Duo for $24 each (available in sizes S–L). 20. 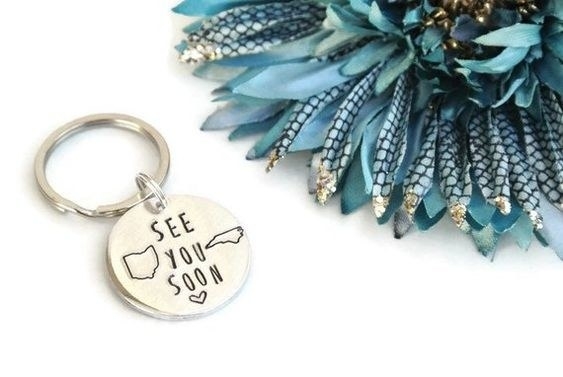 Matching cute handmade keychains if you and your BFF are two halves of an avocado. Get them from ShinyStuffCreations on Etsy for $18.68. 21. 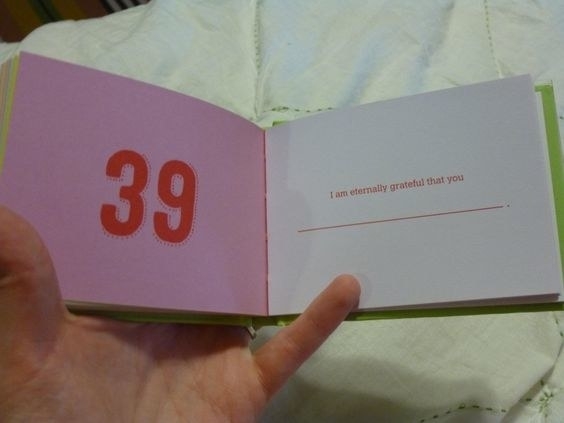 A book of illustrations that'll let them know that you're basically nothing without them and appreciate them being in your life. Get it from Amazon for $9.95, Barnes & Noble for $9.95, Papyrus for $9.95, or from a local bookseller through Indiebound. 22. 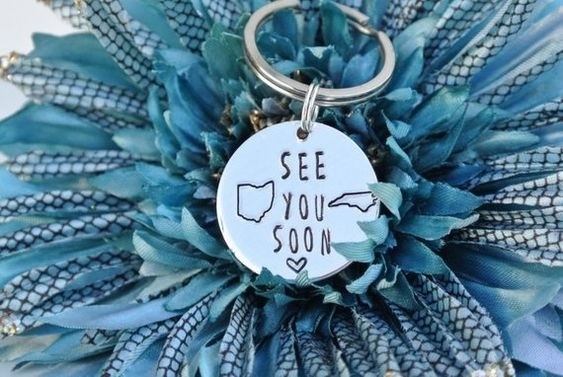 A keychain that reps your respective states, serves as a reminder that you'll see them soon, and will cheer them up whenever they see it. Get it from Ashley Lorren Designs on Etsy for $15. 23. A personalized pillow with your face on it so it'll be like you're right there with them as they binge-watch a show on Netflix miles away. Get it from Firebox for $21.89. 24. 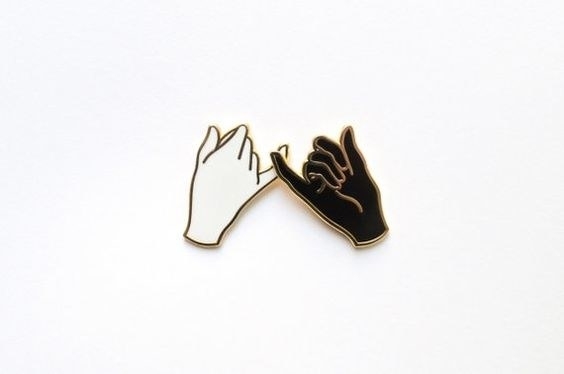 A pin set to represent the eternal bond of friendship through the most sacred of promises — the pinky promise. 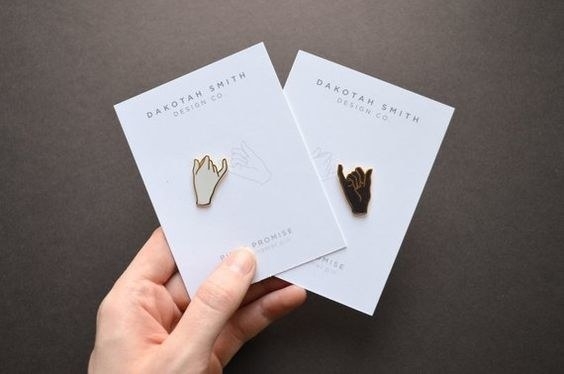 Get them from Dakotah Smith Design Co. on Etsy for $20. What's distance when you have a great BFF?